Stands up to hard punishing work. An excellent performer for maintenance, repair or assembly work. Legs, stringers, shelves, backboards and end pieces are heavy duty 14 ga. construction. 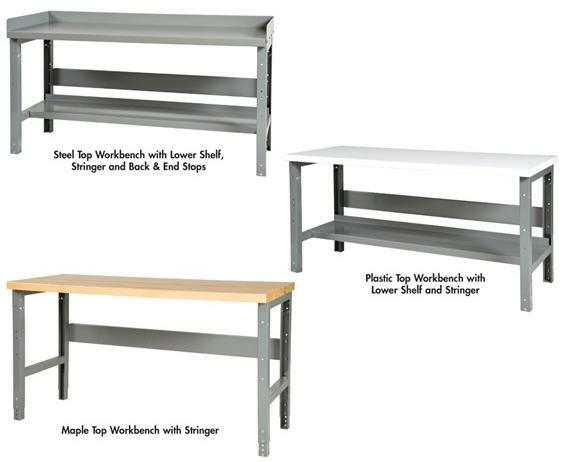 12 ga. steel tops support heavy loads. Plastic tops are non-glare white and available as conductive (anti-static) at additional cost. Hard rock maple tops make a superior work surface. Gray in color. Legs adjust from 30-3/4" to 34-3/4". 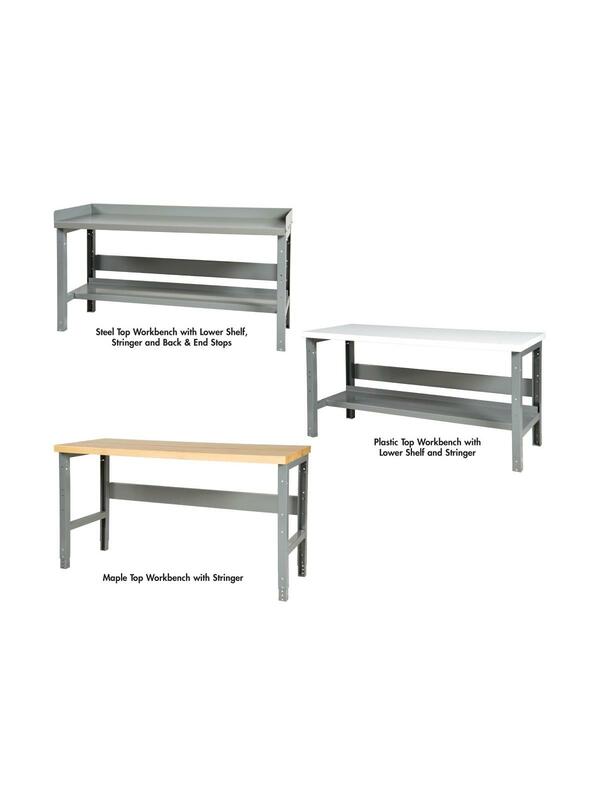 Channel legs available with glides for uneven floors. Shipped K.D. FOB Shipping Point. 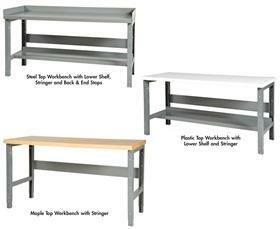 See Related Items tab for Work Bench Accessories.